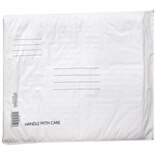 Do what you can to ensure that the items you mail arrive just as you sent them. 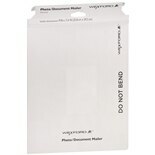 Mailers are ideal for photos, important documents and small items and come in a variety of sizes from brand 3M. 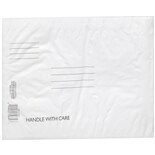 There are document mailers made of cardboard or thick paper, as well as bubble mailers that have a plastic layer inside which protects from dirt, moisture and other damage. 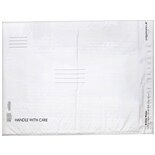 For papers and letters, white envelopes and security envelopes come in different sizes. 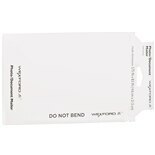 To avoid folding your documents, choose clasp envelopes that secure with a brass fastener. 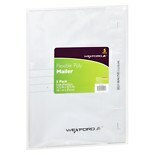 The heavyweight paper used to make these mailers can offer extra protection for the items inside. 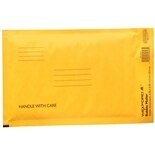 Packing and mailing essentials such as mailing boxes come in a variety of sizes to fit different kinds of items. 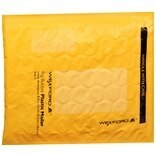 Postal wrapping paper and packaging tape give a secure seal that can hold up throughout transport. Simplify opening boxes you receive with safe and convenient package openers.